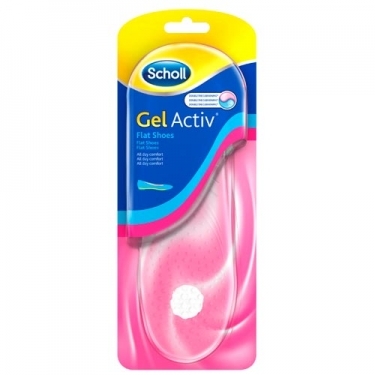 DESCRIPTION: Gelactiv Insoles Flat Shoes from Dr. Scholl is the right insole for shallow, narrow shoes like the sabers. This insole has an extra cushioning design and absorbs shock underneath the heel. It stays firmly in place and does not clench your toes. Designed to provide added comfort and shock absorption under the heel for a light foot feeling all day long.